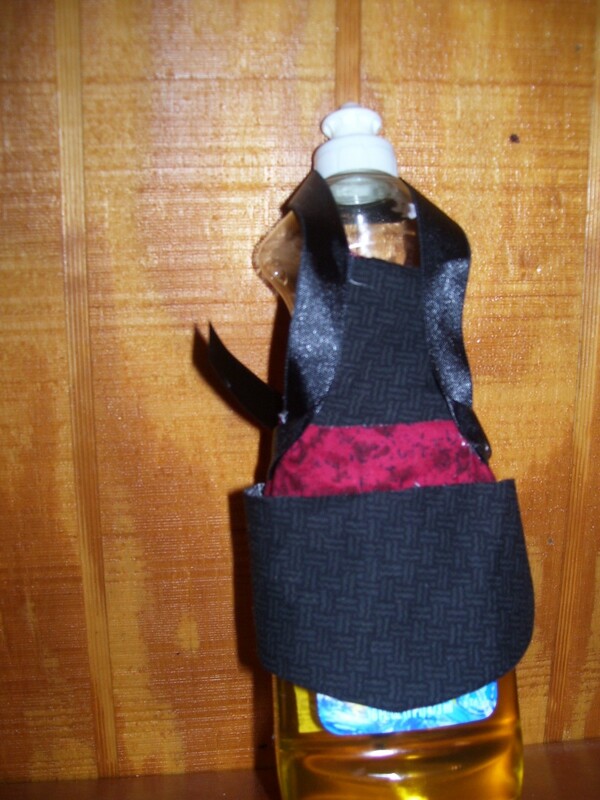 This dish soap bottle apron is very simple to make. You can use any color combinations that you want. I like making these for my friends and family around the holidays. I make them for Christmas as they are very affordable to make. 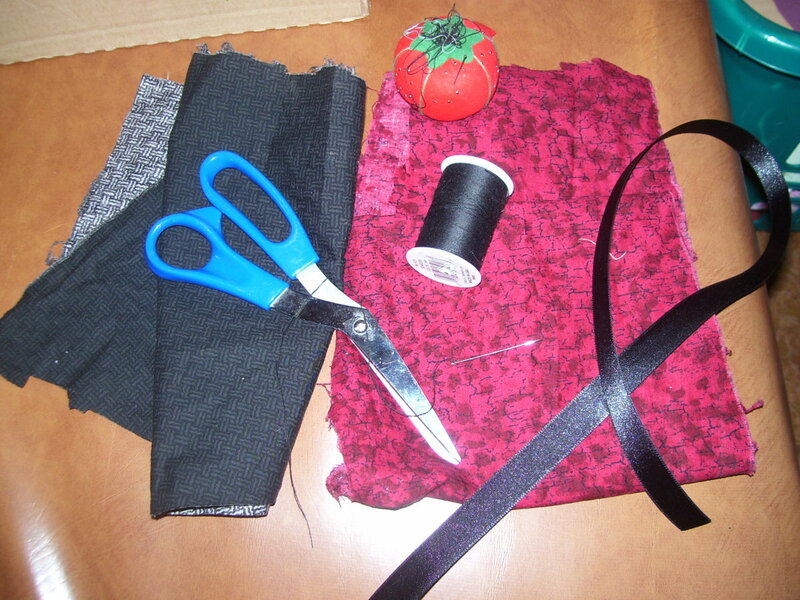 You can use your scrap material instead of throwing it away. 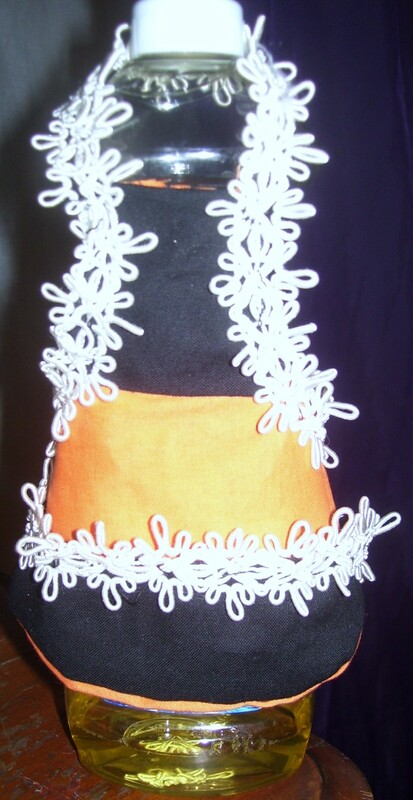 It does not take much time or money to make these little aprons. I think they are so cute and if they get dirty you can throw them in the washing machine. Choose the fabric that you want in any color combination. 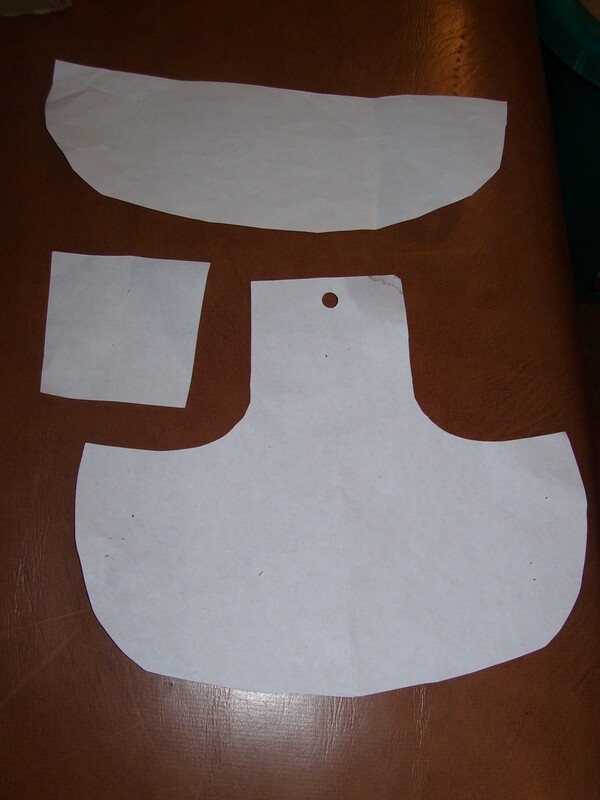 Pin your pattern to the fabric and cut it out. Place the half circle and the small square with the right side of the fabric facing the wrong side of the main apron piece (see photo). Pin in place. Thread needle and sew around the pieces. 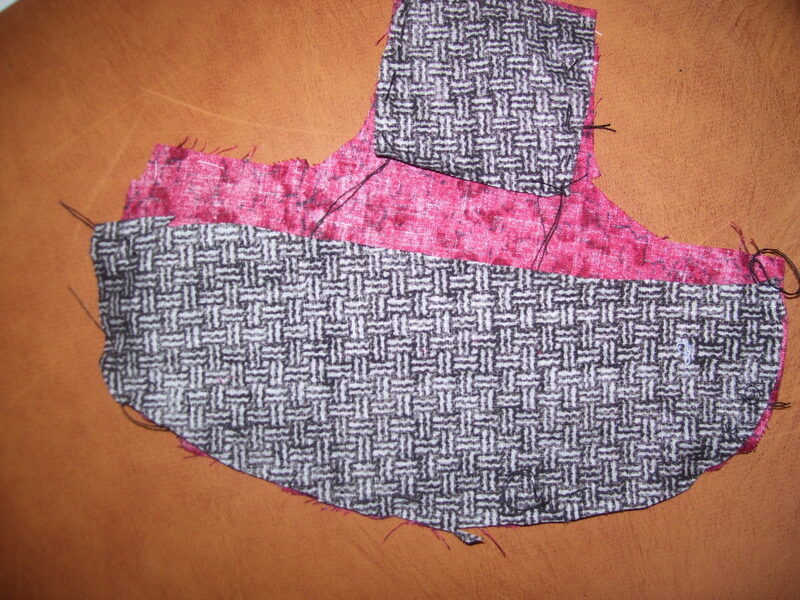 After stitching turn them inside out, that way the right side of both the apron and the pockets face out. Add any extras if you want, like buttons or little bows. Put it on your dish soap bottle now you have a pretty decoration for you kitchen.